Mr. Heft offers Divorce Angels users an alternative to the hourly rate billing model. You can opt to be billed based on a “fixed fee per segment of the case” model. Your case is broken down into pre-determined segments, and a flat fee is applied per segment as the case progresses. It includes a one-time set fee for correspondence and telephone calls. The set fees applied have been calculated by averaging the amount of time it should take to complete each segment based on past experience. The fee per segment will depend on whether Mr. Heft handles your case, or it is assigned to one of his two junior associates. You know in advance what your fees will be, and the anxiety associated with the feeling that you might be writing your lawyer a blank cheque is eliminated. You thus gain certainty, a commodity that is most often lacking in the family law litigation process. Mr. Heft also offers a performance based billing model. An agreed upon reduced hourly rate is billed, coupled with a percentage of any lump sum payment that is realized. It can be an alternative if it is suited to your case. For those who mandate Mr. Heft’s firm to represent them, the fee normally billable for the initial consultation will be waived. I have been practicing family law litigation for 40 years in the province of Quebec. I have handled cases involving all aspects of family law, including custody, support, and division of property issues on all levels. 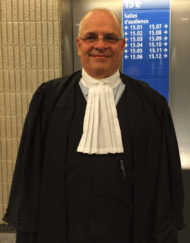 I plead regularly before the Quebec Superior Court and Court of Appeal. I seek to create the conditions that will result in the best possible outcome. "It is with pleasure that I take a moment to write and express not only my gratitude but also my praise for the fine representation Andrew and his firm have afforded me. His no-nonsense approach and quick thinking is only surpassed by his impressive legal experience and his superlative ability to turn a mere deposition, into an absolute work of art! Bravo Andrew…and thank you." Candis Noble, Candis Noble Interior Design Principal Designer - Posh Pawz® Collars. As. Art. "I don't know how Andrew maintains his humanity is this horrible field. But he's the guy if you need a divorce AND care about your children. " "I have known Andrew for over 25 years and I have sought his council on various commercial matters. Andrew is a very skilled lawyer who possesses the utmost in professionalism, integrity and dedication towards his client." "Andrew Heft is a family lawyer who gets the job done efficiently and to the point without extended , unnecessary billing and legal steps." Mr. Heft's practice is primarily centred on complex disputes that cannot be settled out of court. He does, however, encourage negotiation, but from a position of strength, where reasonable discussions aimed at avoiding or ending litigation are possible. Mr. Heft understands that not everyone is a candidate for mediation or collaborative law. Where alternative dispute resolution options are not possible or fail, Mr. Heft offers a direct, assertive, and energetic approach to getting the best possible result in court.